NAMIBIA has been chosen as host for the fourth edition of the Regional Annual Sport Awards that will take place on 25 May 2019. The award ceremony coincides with Africa day as part of a momentous occasion to celebrate athletes under the AUSC 5 on a regional level. The launch of RASA which was held in Windhoek, will be the first to be hosted by another member country after South Africa has been the host nation for the past three years since the inception of the awards in 2016. This year the awards will be presented under the theme ‘Celebrating Excellence – Inspiring Innovation’. With the exception of Angola the awards includes nine member countries however form 2020 Angola will form part of the conglomerate. At this stage Angola does not have annual national sports awards. 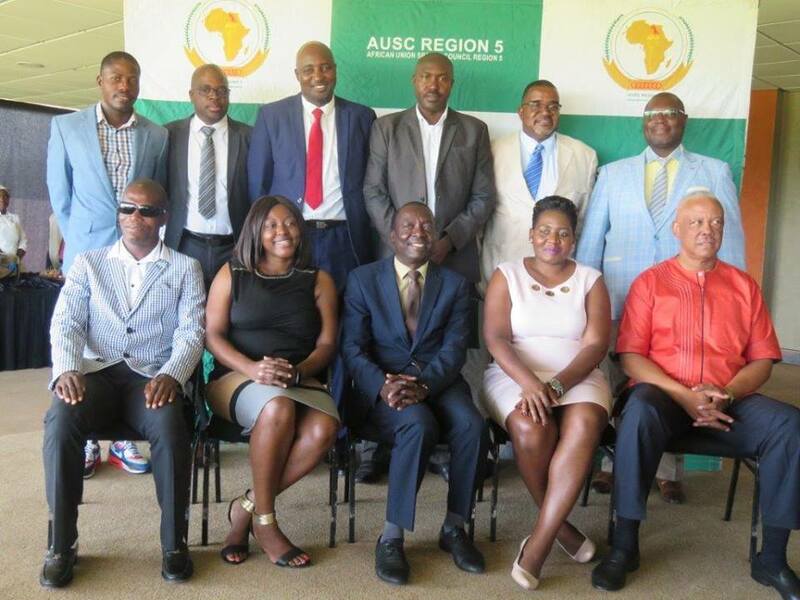 Stanley Mutoya, CEO of AUSC Region said that the RASA awards epitomizes the African heritage and in doing so, they aim to recognise the hard work put in by athletes in the region. “Thank you Namibia for their commitment to host this awards. 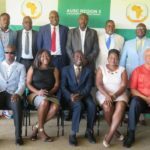 If we are not investing in sports, we are not giving our children an opportunity in life to become great athletes in Africa and beyond,” he said. The Minister of Sports, Erastus Uutoni during his key note address, applauded RASA as an innovation that aims to unite Africans on a regional level. “Namibia should capitalize on RASA as we are most likely to benefit with our athletes being recognized on international levels. We need to re-organise ourselves and plead with local corporate companies to rally behind the RASA campaign,” said the minister. Uutoni further highlighted that some of the proceeds from the awards will be donated to the Osire refugee camp. Heading the RASA organizing team in Namibia, Irvine Ndjavera, said that at the moment, the committee is looking at N$2.5 million budgeted for the awards but emphasised the need for corporates to come on board and give sponsorships for the event to be a success. “We urge corporates to come on board and provide us with assistance to make the event a great success,” he said.